Choose either Matte or Pearl Paper for your book. Bonded Leather, Faux Leather, Linen or Custom Image Covers as well as Cover Stamping and Debossing are available for your cover for an additional charge. Prices above are for a 10 page (20 sides) album. Additional pages can be added in increments of 5 pages each for $9.99 per set of 5 pages with a maximum of 50 pages (100 sides). 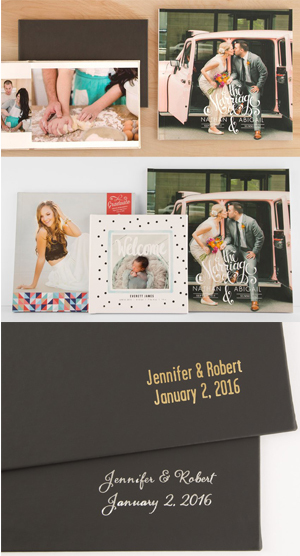 Faux Leather, Bonded Leather and Linen Cover examples for Signature Hardcover Photo Book only.